The dusky conure (Aratinga weddellii), a South American parrot species, makes a good pet due to its peaceful temperament. 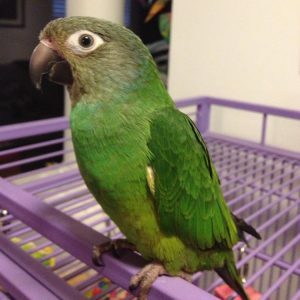 But, as is the case with other conures, this turns out to be very noisy at times, especially during morning and evening. 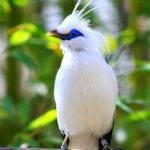 This small sized bird has a lot to offer to its owner regarding entertainments, so if you are planning to have one, get acquainted with its requirements. 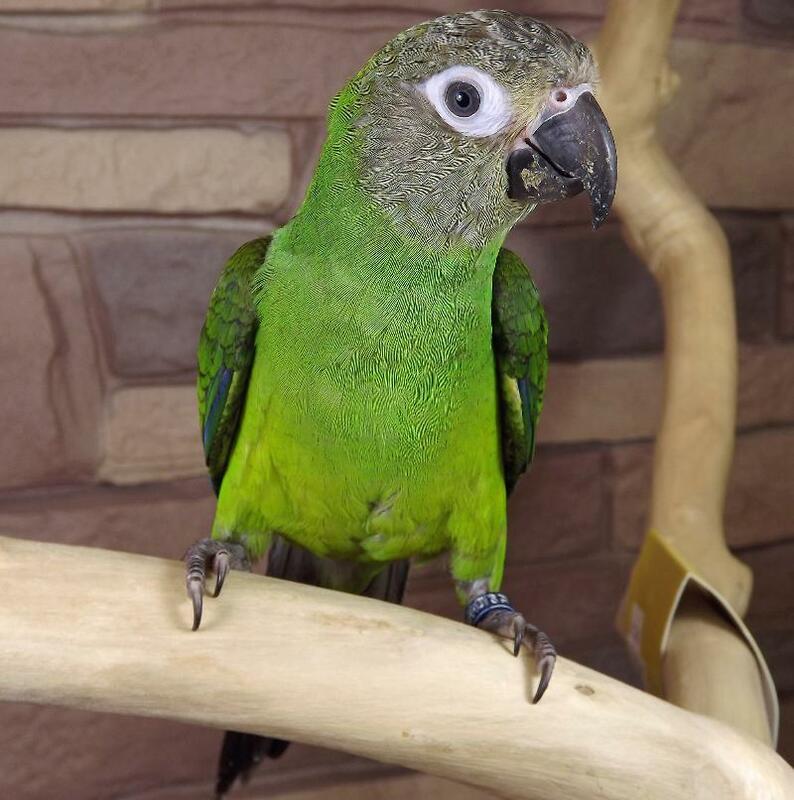 A cage with dimensions of 30” x 36” x 30” and a bar spacing of ½” will suffice for a dusky conure, but this bird tends to be a “pro” in escaping, so give special attention on securing the cage with locks. Instead of covering the cage with towels or clothes, use a proper cage cover. Keep 3-4 perches along with multiple toys inside as the bird prefers variations. 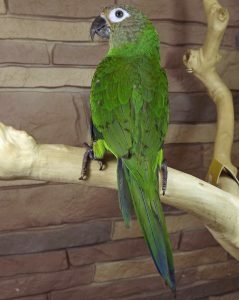 Dusky conures stay fine at moderate room temperatures which should not exceed 80°F. Make sure to keep it in a draft-free area. 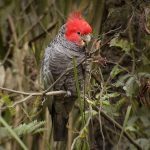 This genteel and shy bird with its ability to repeat words and perform multiple tricks is an absolute delight for bird enthusiasts. Apart from playing with toys, dancing is its forte. 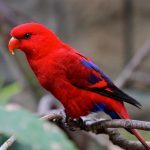 While you take it outside the cage, it will enjoy sitting on your shoulder for a long time quietly. 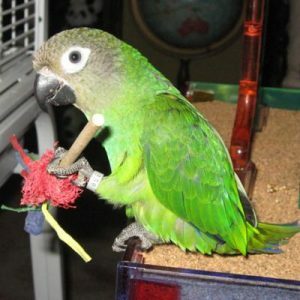 Sometimes the bird can become a little mischievous and mess with your clothes or upholstery like making holes with its beak. 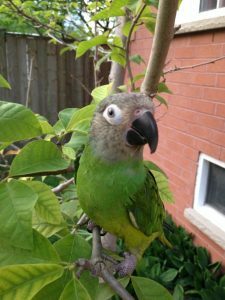 It enjoys swinging, chewing and climbing, and spending time on play stands. Its usual mood may change and it tends to bite and scream often during sexual maturity, however, you must control that with patience and love. Instead of only seed based diet, include fresh veggies, leafy greens, and fruits, especially red and orange ones (for vitamin A intake). Offer it calcium treats or cuttlebones. Make sure to wash foods beforehand. Fried foods, chocolates, avocados and sugar are strict no-nos. Just be with your pet, teach it to play tricks in your own way as the equation between a pet and its owner is always unique. It could be some tricks with rings, small bells, or toys of the bird. Dusky conures love to socialize as much as possible, so introduce them to your friends and family. 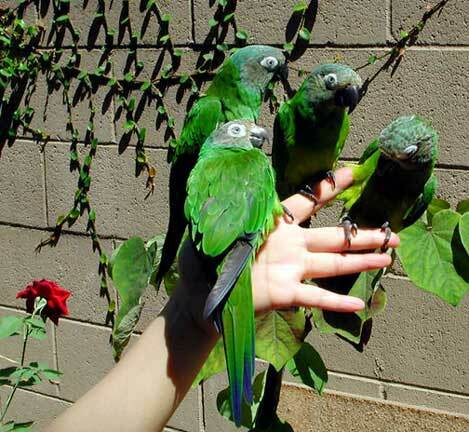 Converse with them, cuddle and stroke your conure to maintain its pleasant mood. Hygiene is a significant aspect that you must comply with. 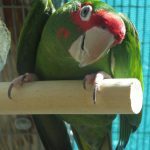 Changing of cage paper, cleansing of the entire cage and toys with a mild mixture of water and dishwashing liquid is frequently required. Either provide a birdbath or mist spray clean water on its feather but never on its face, twice in a week. Wing and nail trimming should be done under professional guidance. 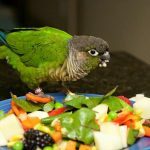 If your dusky conure has symptoms like appetite loss, swollen eyes, fluffed feathers, runny nose, and frequent sneezing, take it to a vet. Its price ranges from $490-$600. 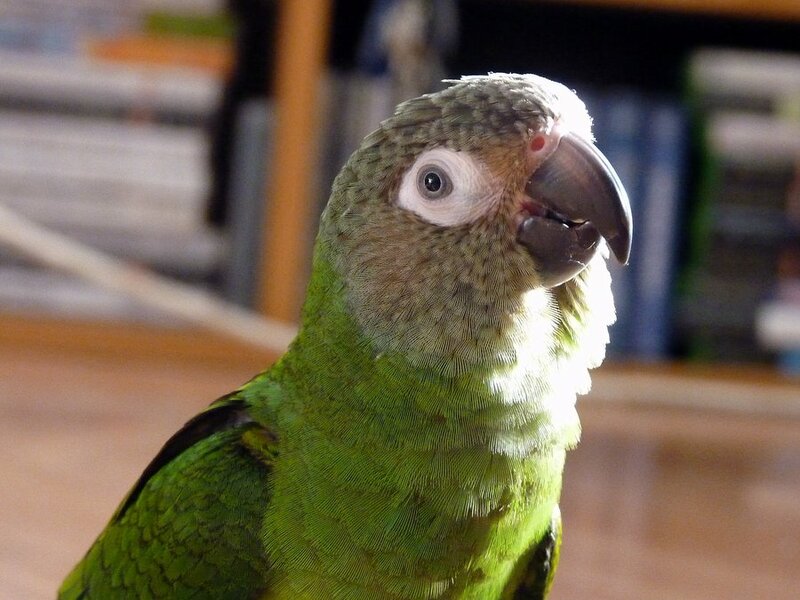 In the wild, dusky conures find termite holes for raising their children. Their shrill voice has a rhythm of four to five notes. 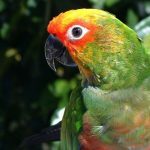 One Response to "Dusky Conure"
As I was searching on the “Aratinga weddellii” parrot and during my research, I found this article. This article really helps me in my research and also increases my knowledge. Thanks for sharing this useful stuff.